The staff was amazing. 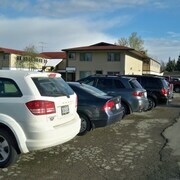 On Easter Sunday one staff member made a turkey dinner for all the guests who didn’t have any plans. That’s definitely going above and beyond. Where to find Olds hotels near an airport? 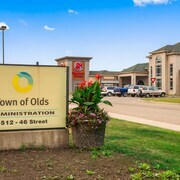 Where can I find hotels in Olds that are near tourist attractions? 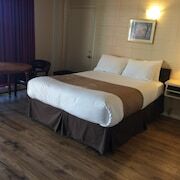 For those who are visiting Southern Alberta and want to find a basic or more upscale room in Olds, there are a number of alternatives. Within a 0.1-kilometre (0.1-mile) distance of its central area, there are 6 Expedia-listed apartments and hotels. 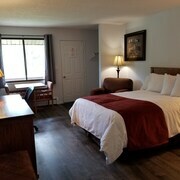 Travelers hoping to find accommodations conveniently located to the center of Olds, should browse the latest offers at the Circle 5 Motel and Siesta Motel. 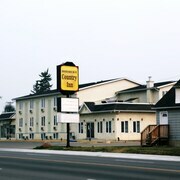 The Pomeroy Inn & Suites at Olds and Best Western Of Olds are near the Olds College. 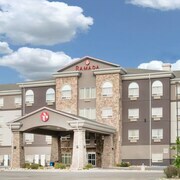 The Ramada Olds is positioned 1 kilometre (1 mile) from downtown Olds. 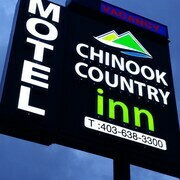 Another alternative is the Days Inn Innisfail, which is positioned 30 kilometres (19 miles) away. Two more places to rest your head include the Super 8 Innisfail and the Econo Lodge Inn & Suites. Like to venture a bit further afield? Southern Alberta offers many attractions. Southern Alberta is marked by rivers, streams, lakes and mountains, and common Southern Alberta destinations include old towns. Fun-loving travelers can try snowboarding and skiing here. Airdrie is 55 kilometres (34 miles) to the south of Olds, and is home to the Nose Creek Valley Museum and Ironhorse Park. The Holiday Inn Express Hotel & Suites Airdrie-Calgary North and Comfort Inn & Suites are some of the Expedia-recommended accommodation options in Airdrie. 60 kilometres (37 miles) to the east of Olds is Three Hills, home to the Super 8 Three Hills Alberta and Best Western Diamond Inn. The Three Hills Golf Club and Three Hills Aquatic Centre are just a couple of the more popular sites to check out in Three Hills. 85 kilometres (53 miles) to the south of Olds is Calgary, a regional center with a population of 1,000,000, and the home of visitor attractions like the Calgary Tower, the GRAND and Stanley Park. You might like to also spend a little time at the Peace Bridge and the Calgary Zoo. Calgary has hotels and apartments to suit most budgets and tastes, like the Hotel Le Germain Calgary and Kensington Riverside Inn. Calgary International Airport is a convenient airport for accessing Olds. It is 75 kilometres (47 miles) away. If you choose to stay nearby, try the Delta Hotels by Marriott Calgary Airport In-Terminal or Best Western Premier Freeport Inn & Suites. What are the most popular Olds hotels? Are there hotels in other cities near Olds? What other types of accommodations are available in Olds? Explore Olds with Expedia.ca’s Travel Guides to find the best flights, cars, holiday packages and more!